STUNNING Moon Dust Necklace -Wear A Real Piece Of The Moon - Teardrop Shape. 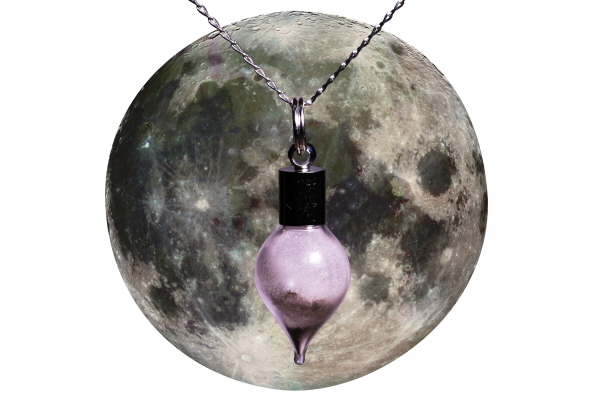 << Back STUNNING Moon Dust Necklace -Wear A Real Piece Of The Moon - Teardrop Shape. It is made with a sample of genuine Moon meteorite dust. 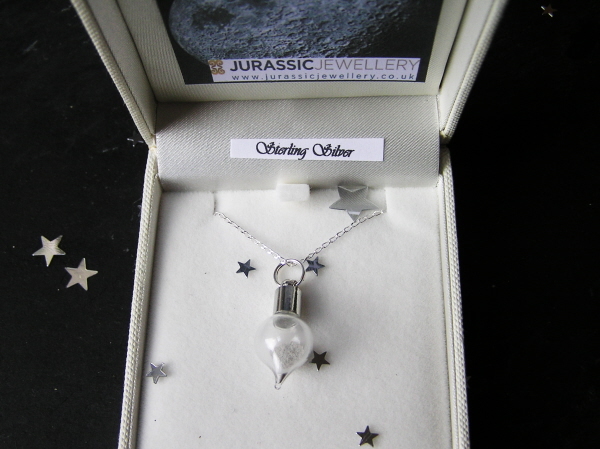 The moon dust is securely contained forever in a glass vial with silver plated fitting and strung from a lovely 18 inch sterling silver curb chain. 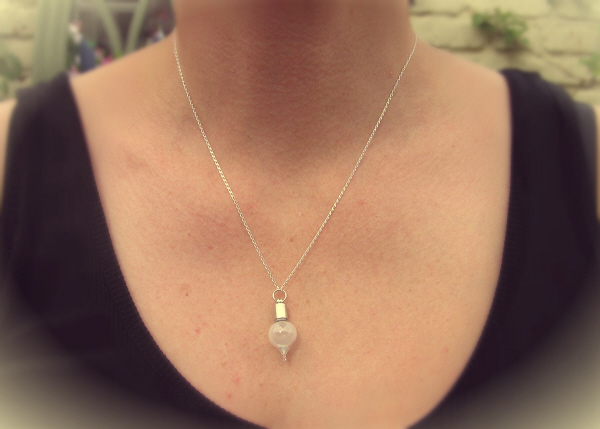 This necklace comes boxed in a high quality jewellery so is ready to give as a gift! - or why not just keep it for yourself !! This is a stunning and intriguing Lunar meteorite pendant. It is made with a sample of genuine Moon dust.